80 total minutes. Grace Jordan was the creator and executive producer of the original dramatic series, You Are There (Perfect Sound Production). Her love for God and her children, along with her knowledge of Scripture, propelled her forward to create an unforgettable and life-changing family experience. 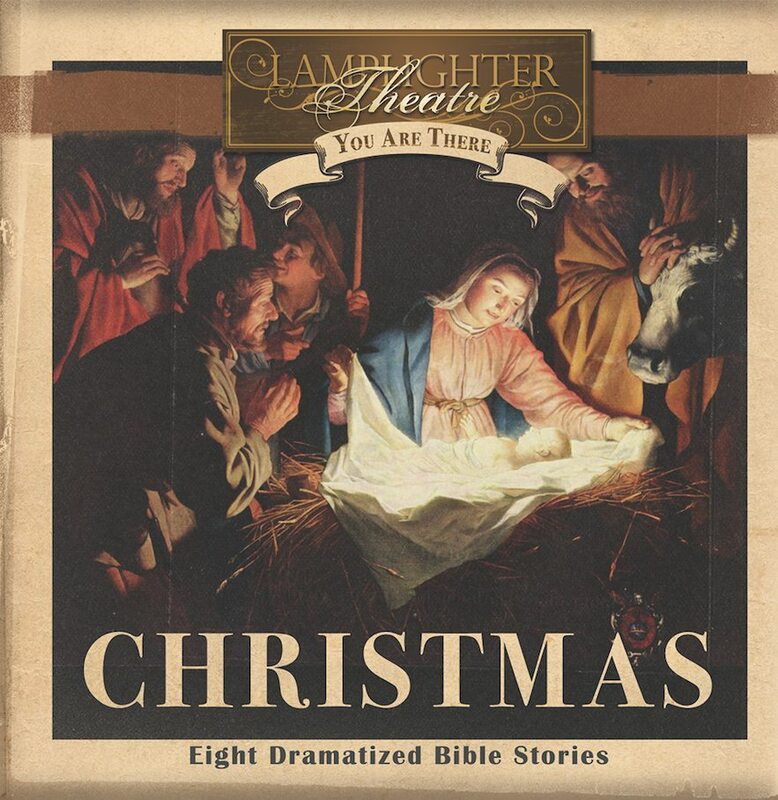 Now, decades later, Lamplighter Theatre brings this classic audio drama back to life for families around the world. Once you hear them you will understand why these dramas are titled You Are There! When my children were young we listened to You Are There Bible dramas before going to bed almost every night. These stories calmed their restlessness as their imagination drifted back to Biblical times. I’ve not found a better tool to bring into captivity every thought unto the obedience of Christ for young children than You Are There. From Anonymous of Monon, Indiana on 1/4/2019 . From Anonymous of Fresno, California on 8/25/2018 . So awesome...the story of Christ!! From John DeMott of Holland, Michigan on 4/23/2018 . Our kids loved You Are There Christmas and You Are There Easter back in the 80s and 90s when they were growing up. We are so happy to see that Lamplighter has reproduced these. They are extremely well done and tell the Christmas story and the Easter story in a very down to earth way that brings them alive. Highly recommended! From Tomi Moore of Glendale, Arizona on 1/10/2017 . We really appreciated hearing the Christmas Story told as though the people were real. Instead of being told about them, it's as though we were, well, right there with them as they lived through this! I loved hearing Mary honor her parents, love Joseph, and decide, though trembling, to trust God. The characters drew the children's attention as well. We hear the story every year, but this year we were more immersed in the human elements of these very real people, whose lives were stages for God. It reminds us that we are too, and He will do wondrous things if we let Him. From Anonymous of USA, Missouri on 12/19/2016 . Our whole family very much enjoyed this story. It made me want to purchase the whole set to enjoy!